I had to write about this today, after reading this story. During The Royal Wedding coverage, three women strolled down a cobbled street to Windsor Chapel. TV announcers, along with myself (in my head) kept saying "WOW!" "WHO IS THAT?". I kept saying, "WHAT AN AMAZING DRESS & HAT!" This girl exuded so much class, confidence, regal-ness, sassy-ness and poise! She stood out! I didn't know and many others didn't know....That was Janina Gavankar. She's an American Actress, that has been in Star Wars Battlefront II, True Blood and The League. She's also a trained pianist, vocalist and orchestral percussionist. Her parents emigrated from India. Her father is from Mumbai, India and her mother is half Indian and half Dutch. 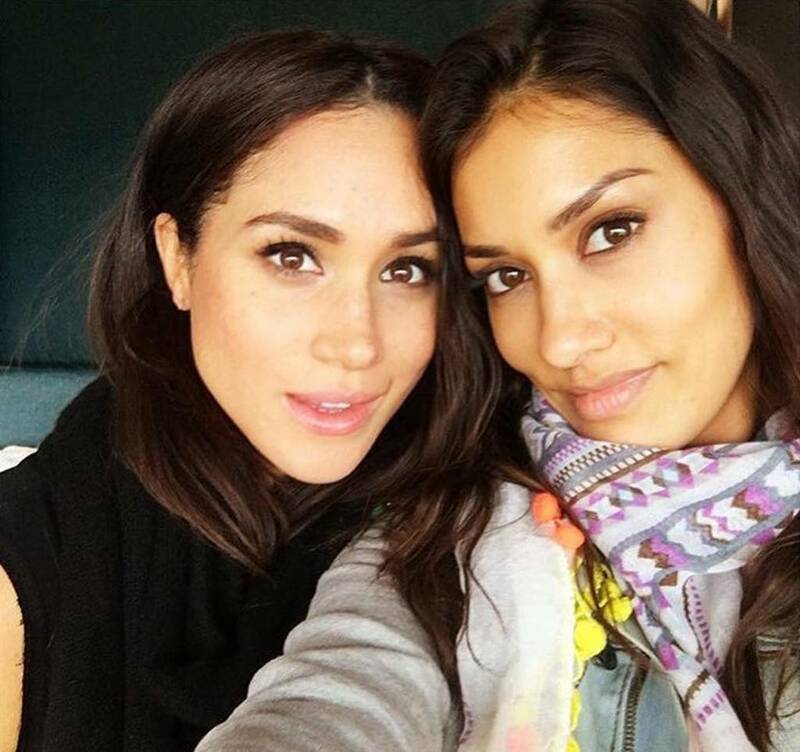 She's best friends with Meghan Markle (Duchess of Sussex) and was invited to The Royal Wedding. Well THE STORY, BEHIND THE STORY (there's always one you guys) that none of us was aware of was, NO DESIGNER WOULD DRESS HER!!! Her stylist sent out many requests, stating she would be attending the wedding. Requests were turned down. Some requests were even ignored. They rejected her stylists' (Niki Schwan) requests! Well guess where she got her dress!?!?! The Western Costume Company. It's a 1930's gown they tweaked, paired it with loaned jewelry and a 1940's style hat. A lot of my older readers know I love old style Hollywood movies & glamour. I picked up on that when I saw her, but was unsure. Is Janina Gavankar bitter? NO! Read this response! "If you think she’s bitter, think again, writing: “I kinda love being denied sometimes, it just forces me to work harder, smarter, more creatively & continuously think outside the box!” WHAT A GREAT ATTITUDE! 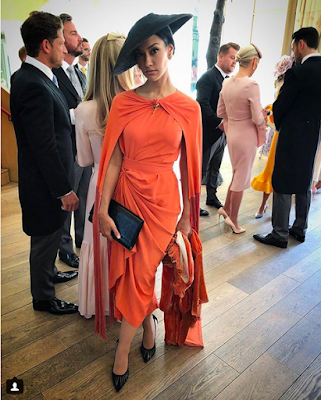 This article goes on to say, "Janina is one of the single MOST SEARCHED NAMES of those who attended the wedding, due to this moment & we are overwhelmed & grateful by the response to her look. (Too bad to all the brands and showrooms that denied us). Keep on keepin on y’all. REJECTION IS GODS PROTECTION, I always say!” Isn't this an amazing story! I want to add, if you have only $5 in your purse...walk out your door as if you have a million bucks. If you have three outfits in your closet, walk out your door as if you have a closet full of clothes. Don't let anyone define you, limit you or put you down! Janina didn't and it showed! The cameras STAYED on her! Keep moving forward! GOD is on your side!